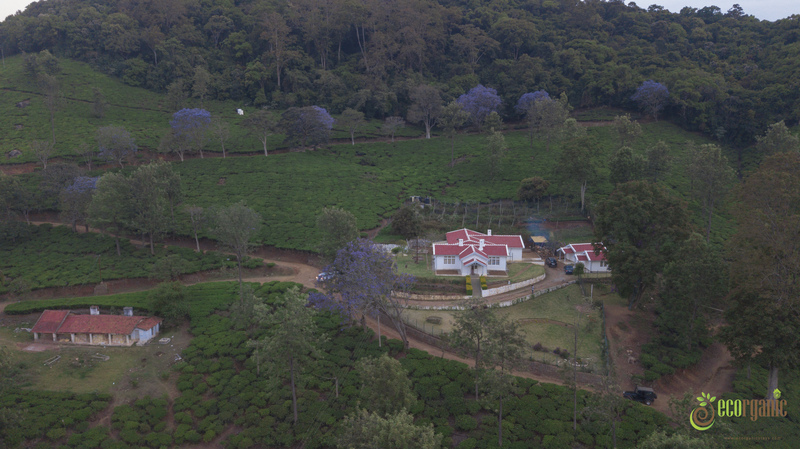 Nature is all we were surrounded by in Nilgiris or the ‘Queen of Hills’ as it is better known, where one can escape to for a perfect getaway. While green was the dominant colour there, we could not ignore the shades of yellow and orange of the skyline that stood out every morning and evening. Besides the mesmerizing beauty of this serene destination, we also fell in love with the dropping temperature as we drove up the hills. Everything about this place was beautiful – the different colours of nature’s beauty, the curving roads, the villages, and the tiny tea shops. 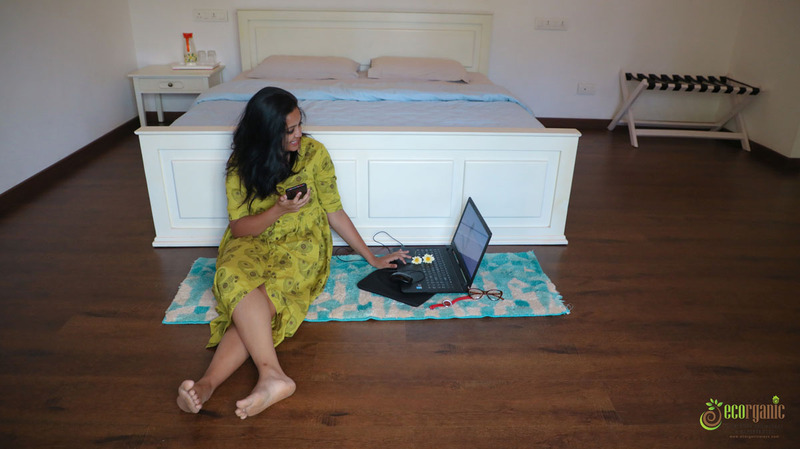 Aware that the only aspect that could make this vacation much better was a perfect abode, we did our research and opted for the Pembroke Villa, an ecorganic boutique farmstay – and it was totally worth it. After a drive of about 2hours from Coimbatore city, we went up and down the hills to reach the selected destination. 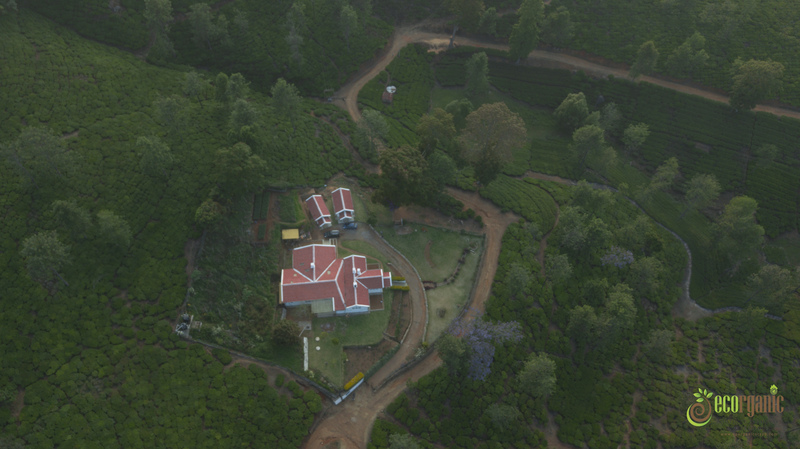 A narrow lane covered both sides with tea estates took us to the main gate of the bungalow. On arriving at the bungalow, the caretaker ensured we felt welcome. He welcomed us near the gate and shown us the right place to park the car. He went that extra mile to show us around so we feel at home. It was a great feeling. 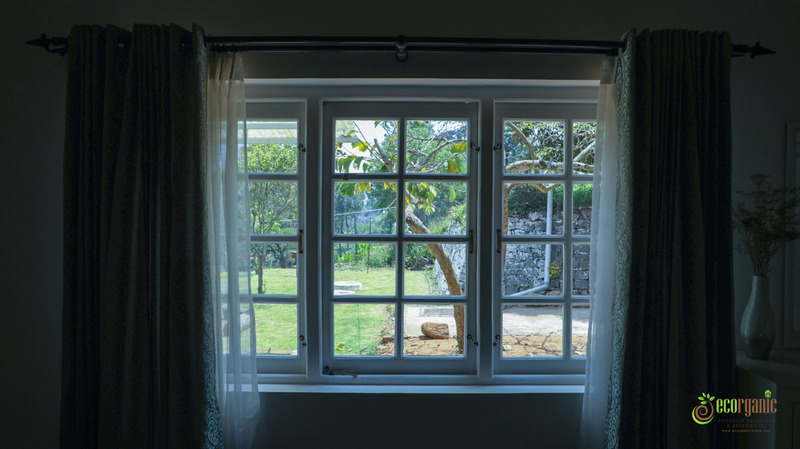 The moment I stepped inside the bungalow, I was awestruck with the interior and exterior. So well kept and spotless. The reception area was next to the huge dining space and then huge bedrooms on the right and the left, there was a master bedroom at the end of the dining place. 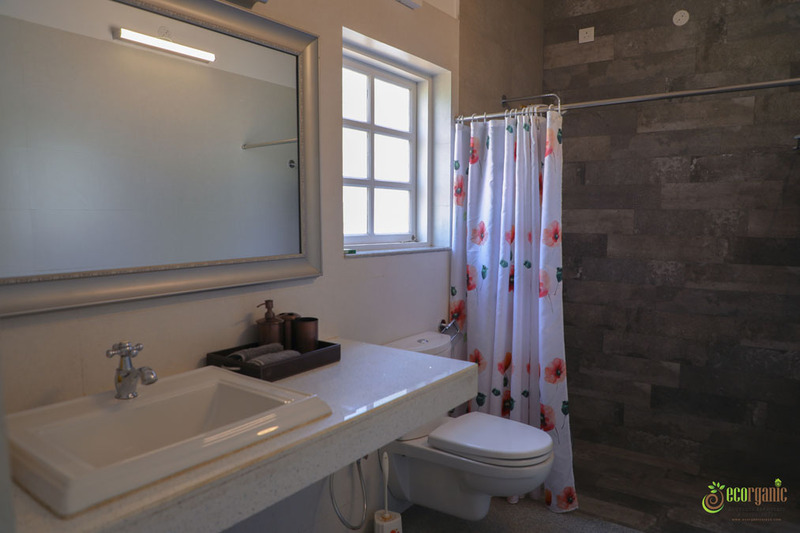 Clearly, this place can hold up to 10- 12 guest Is what I supposed, to my surprise this property has arrangements with proper amenities for up to 25 guests. Now I am super sure that this is a picture perfect stay for close family or friends trip. 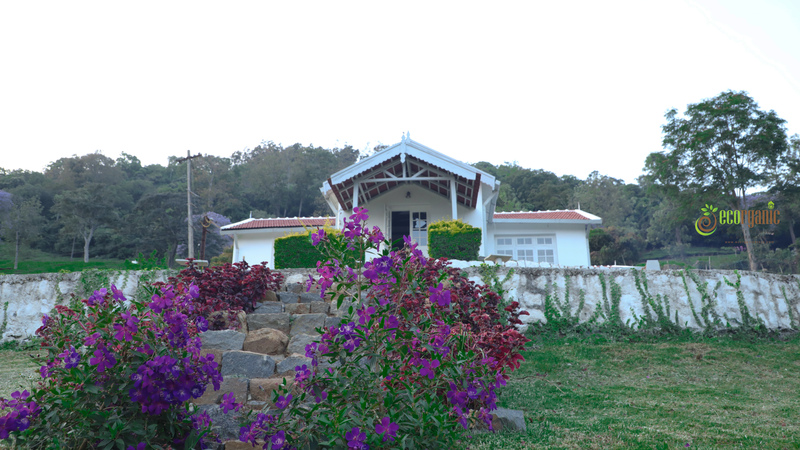 They also have two separate cottages along with attached bathroom just next to the main bungalow. Everything was so detailed. The bedrooms were so well decorated and furnished with the perfect furniture, and at first glance, we knew that a lot of thought had gone into doing up the place. I was told each item were handpicked personally by the owner of the property. As he believes in giving his guest the uttermost satisfaction and pleasure during their stay. So that they can take back a bag full of good memories. I was surely having the time of my life. I was escorted to my room. Was excited to find out It was one of the cottages. 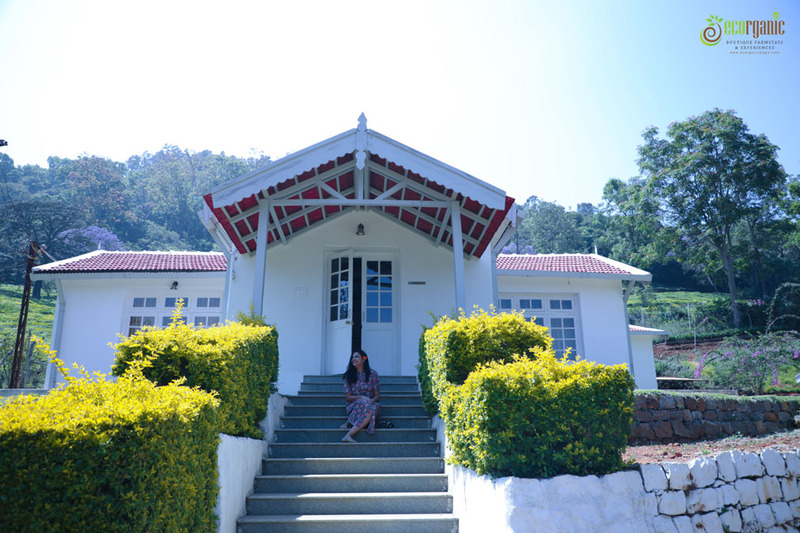 While I was given an individual cottage, which I was still trying to sink in me, the additional cook and a butler to myself only made me feel a whole lot better. Besides, we got the food of our choice. Eager to look around, I left my luggage and hurried out. I loved the sight that awaited me – that of children camping outdoors and enjoying activities such as zip lining and rope walking. Even though it was not restricted to children, I preferred to relax and take in the fresh air, scented with the beautiful smell of fresh flowers. Visitors can also take part in these activities. It was an amazing feeling. The lack of proper network somehow did not bother me. 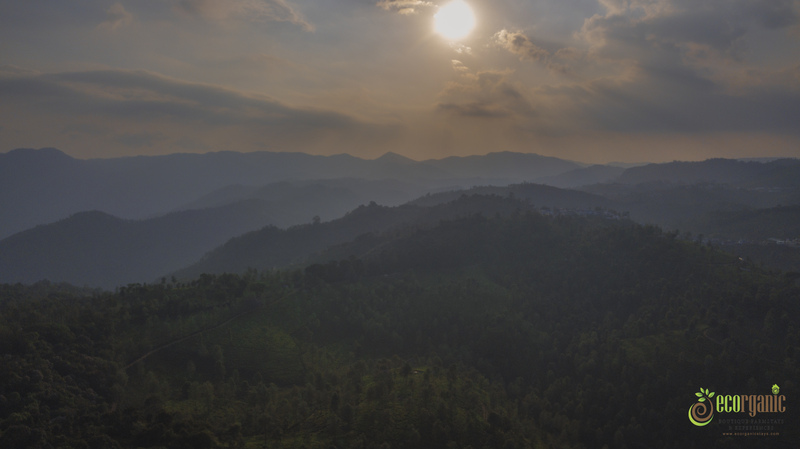 I was in the midst of a 200-acre tea estate, and I somehow felt far from lost. It was indeed a happy feeling. Little did I ever think that I would find myself so far away from the city and still be this happy. I spent my time exploring nature and reading some books. Watching those stacked up movies in the drive. I didn’t remember when was the last time I had spend so much time doing things for myself. The luxury and great facilities the villa offered, alongside nature’s beauty, was exactly the perfect combination I always dreamt of having. Obsessed with sunrises and sunsets, I was beyond happy when I saw the sun go down, and the sky filled with splashes of orange, red and yellow. I had heard stories of elephants and bears visiting the place over a cup of coffee and pakoras, but learnt that they were more rare visitors on a regular basis. However, in no time I was lucky to witness a herd of bison come visiting. Despite being ornithologically challenged, the sight of different birds brought me immense joy throughout the day. As the temperature continued dropping along with the sun, a campfire was lit and a delicious dinner served. After the dinner by the bonfire, many of us got together to play games. It was a homely feeling indeed. Even the slightest noise made by the birds and animals gave us an understanding of how nature has its way of telling us what’s happening around us. We tried sporting bears from the bungalow fencing itself but we couldn’t. Disappointed I planned to hit the bed. I am so used to going to bed with the blaring sound of traffic in the background in all the cities I have lived in, this silence was extremely new to me. But it was amazing. I found out the true meaning of the word peaceful. Woke up to, birds chirping and the soft dawn light slowly brightening up my room. 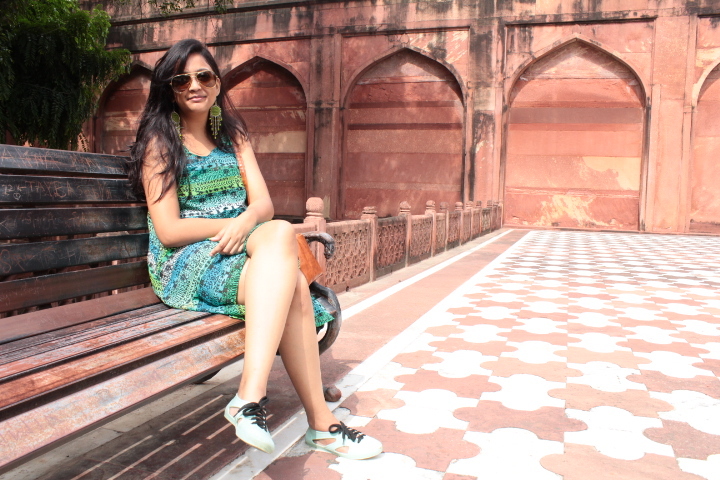 Relax, refreshed and rejuvenated is how I felt. As I strolled out of the cottage door the chillness shivered my body. 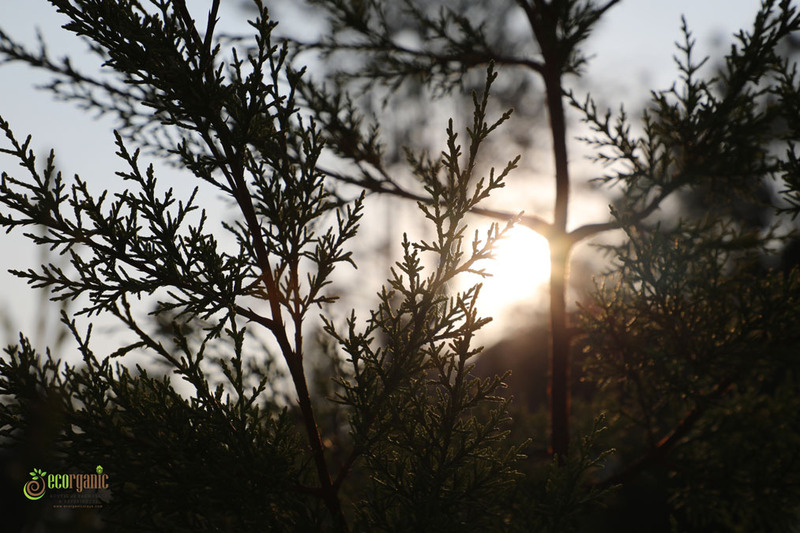 It was about 5:10 am I was asked if I would like some tea or coffee while I watch the sunrise. Oh, what a service this place has to offer was spoilt in a days time. To bid goodbye after a plateful of tasty breakfast was the hardest part of this trip. I had other engagements to attend to which called me back to city life by afternoon. I started towards my return journey with the thought to get lost in nature all over again super soon. 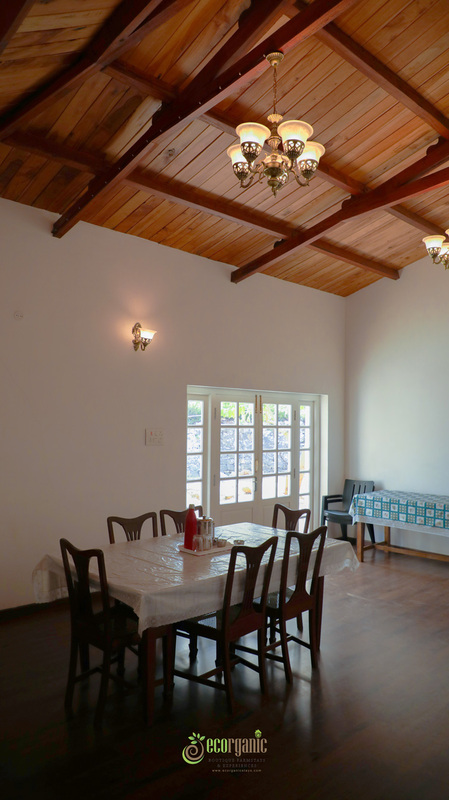 They also rent out this property for a small family or corporate gatherings, wedding ceremonies and other functions. 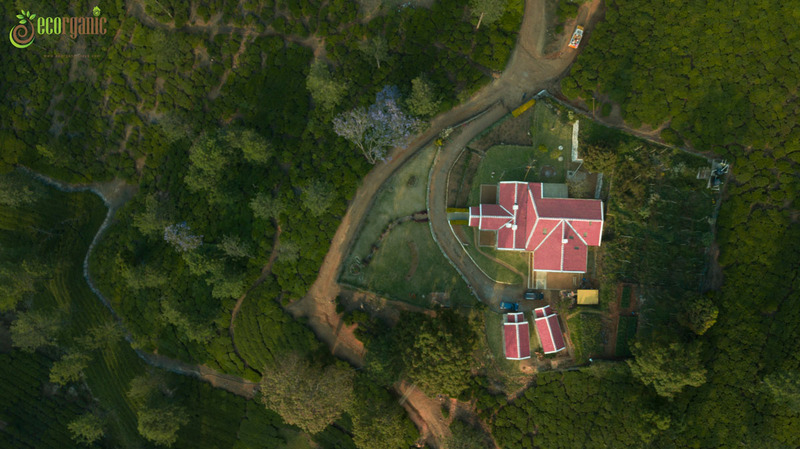 Having started from the idea of agriculture, difficulties faced, such as the land getting extremely dry, caused the owners to come up with an alternative idea – that of starting a farm stay. With barely two properties, it has now expanded vastly over the past year and a half. With the aim of giving visitors an experience to cherish, they created a space to help one connect with their soul. 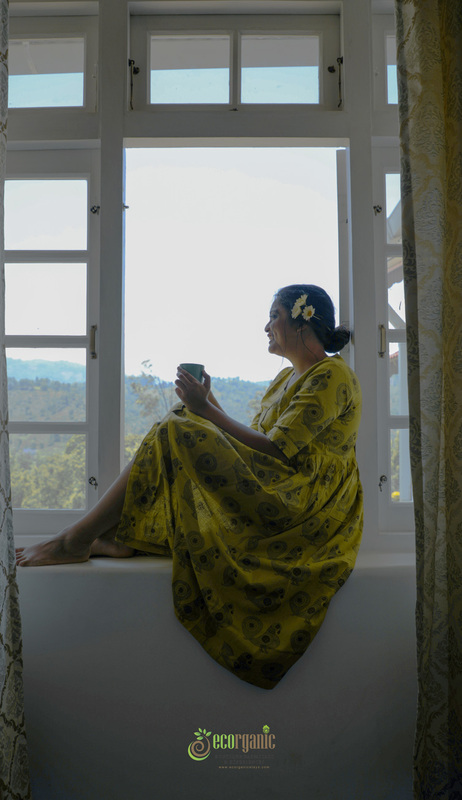 Run by two professional doctors who are passionate about travelling, each home-stay has its own unique features and identity and offers a variety of experiences. Dr Dinesh A pediatric anesthetist by profession and an explorer at heart has been an adventurous freak, to break the monotony of his stressful job. He could not find anything better than offering experiences to his guests. The lack of good luxurious home-stays led him to grow his idea radically and within two years, all of it started taking shape. According to him, rooms are not what he wanted to sell, but experiences. While recounting the passion, he recalled a humorous incident – A busy man from Monday to Friday, he uses his weekends to travel with his family and spend time with his guests. While showing a guest around the home-stay, once, he was offered a tip for ‘his amazing service’ and the guest even promised to speak a couple of good words about him to his boss for his kindness. Little did he know that he was actually talking to the owner of the Home-stay. From being child-friendly to pet-friendly, the home-stay provides you with a 24×7 check-in facility. Besides, they also have facilities to cater to pregnant mothers. Previous post: Bracelets – The important family member of accessories!